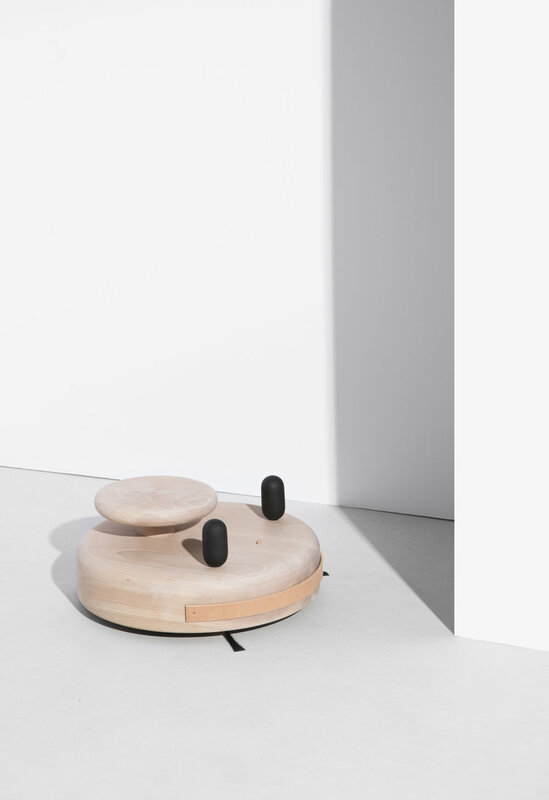 A solid cherry cover for robotic vacuums that transforms it into an object of warmth and tranquility. Roombas are so fun to watch, their movements precocious and whimsical. I wanted to make a cover that endows the robot with life and character. Pat Kim is a New York-based designer/artist working primarily in objects, furniture and sculpture. His approach is defined by constant experimentation in materials and methods gleaned from traditional craft. His work is rooted in the philosophy of sculptural simplicity and enduring quality.